Look into any dinner wagon of any household and you will surely see sitting there among all the new and grand dinner sets some humble and worn looking china displayed with pride and affection by its owner. These often chipped and stained chinaware often have much greater intrinsic value for their owners than the more grand ones sitting right next to them. 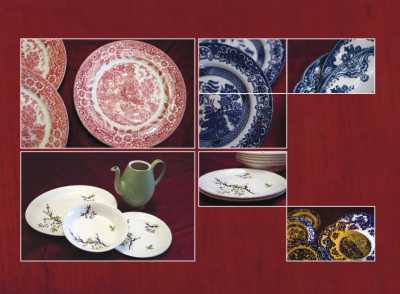 The stains of these crockery sets are like wrinkles on an old person, etched with stories and experiences. The experience of seeing days older than the present and of being handled by mothers, aunts, grandmothers -- dear to one's heart yet lost forever. 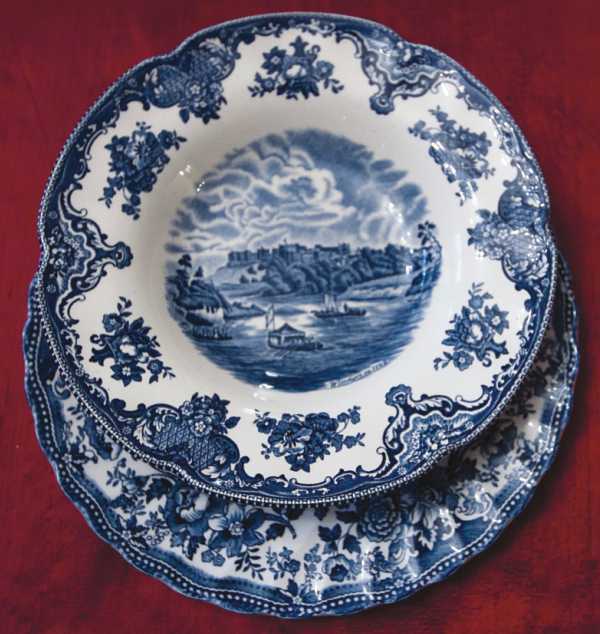 Bilquish's dinner set has a rich history. It was one of those rare complete dinner sets in a time when such things were considered luxury goods. It was brought as an anniversary gift from London by her father for her mother and its use was strictly reserved for very special occasions. “Today I own many complete dinner sets but none feel as 'wise' as the one given by Amma,” Bilquish explains, “When I pick up a saucer from the set I feel like it has hidden knowledge and experience which was poured into it from Amma. Like her mother, Bilquish does not use this precious chinaware for everyday purposes or for just any occasion either. They are reserved for very special events. Sweety goes on to say that Bilquish has not fully utilised the beauty of these chinaware. “When I first received them I kept them soaked in warm soap water for one whole night and the next day I gave them a good scrub with vinegar, lemon juice and baking soda. That removed the water marks and the stains pretty well,” Sweety related. Bilquish says her method of cleaning and preservation is better. She uses tooth powder or vegetable oil and turmeric depending on the sensitivity and glaze of the pieces. But Bilquish does not want to get rid of all the stains as she believes that the stains add to the depth of the china's 'wisdom'. As they kept up the good-natured banter I sat there and realised that those stained and chipped china have more to offer than mere crockery or even decorations. It acts as a bridge to these ladies to reconnect with lost times. Looking at it lets them see their long-gone mother do her everyday work; touching it lets them feel their mother's warmth as she looked upon their safety and comfort; laying it out on the table enables them to revisit the many memories when they helped their mother. Yes, the dinner set is 'wise' indeed. It is wise from witnessing its present owners play together, fight together, cry together and grow together until the day they metamorphosed into grown ladies and had their own separate crockery cupboards to tend to. People who at one time were an extension of our own selves have now been consigned to the dusty recesses of remembrance. We look for them and often find them in objects they left behind, like an old perfume bottle belonging to a loved father, or crockery sets handed down from mother to daughter. 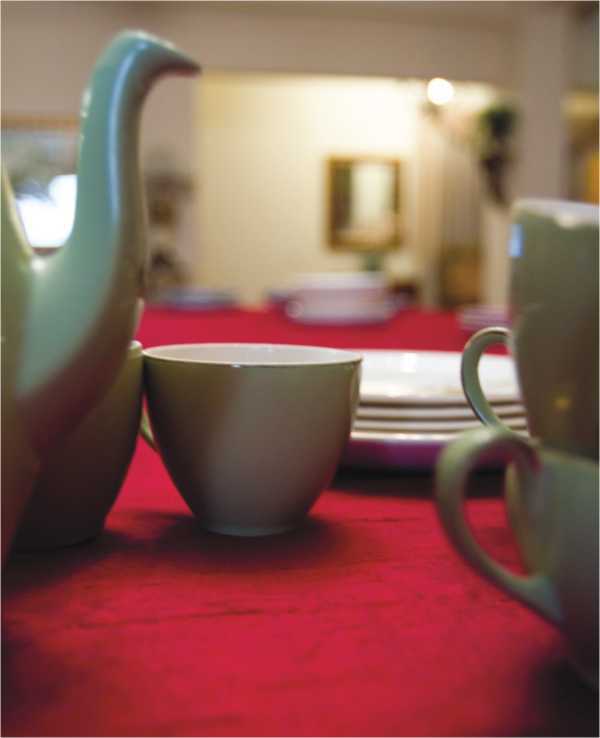 This week Star Lifestyle talks to two sisters who treasure the crockery sets they have inherited from their mother, and learn how the vintage chinaware offers flashes of the cherished past and helps them remember. Flip to Centre for the story.